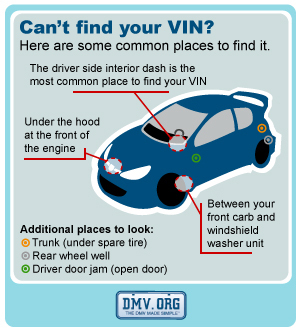 The most common location for a VIN number is right below the Driver side front window. There is usually a metal strip containing the 17 digit VIN. The starting point for performing a background check on a vehicle is to use the vehicle’s vehicle identification number (VIN). High level VIN checks are usually free, but don’t go into great detail. More complete VIN checks offer a much more in depth review of a vehicles history, but come with a price tag of $25 to $40 per report. Most services offer discounts on multiple reports. If you’re looking to get the most accurate and overall review of a vehicles history it’s often better to pay for it. 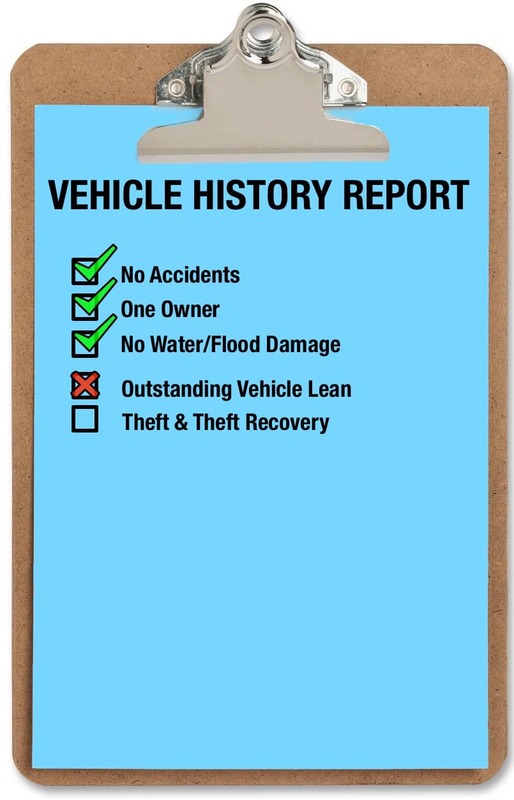 Many dealerships offer free vehicle history reports with their used vehicles. One very common and shady practice that occurs quite often in today’s used vehicle market is selling previously flooded vehicles. A vehicle that has sat idol in a flooded area can often be restored to look like new. The problem is most cars today are electronic and water, mud and salt can cause havoc with electrical systems. Some flood water related issues might not present themselves until after you have already purchased the vehicle and driven it of the lot. Buying a flood-damaged car can put you into substantial financial risk should major repairs be necessary. Beware of buying a used car within 6 months to a year of a major flooding event similar to what happened in Huston, Texas. Let’s face it, most taxi and rental companies are pretty tough on vehicles. Knowing a vehicle has been a rental can give you a good idea that the vehicle, in most cases, has had more wear and tear. Both Auto Check and CarFax are paid vehicle history check services and offer a comprehensive review of a vehicles history. VehicleHistory.com appears to be free and seems to provide a lot of useful report information. Should You Perform A VIN Check Prior To Buying Used? Once you have settled in on the vehicle you want to purchase it’s a very good idea to get a complete car history through a VIN check. The old saying better safe than sorry really does apply when buying used and an ounce of prevention should only set you back at most $50, so it’s money well spent.